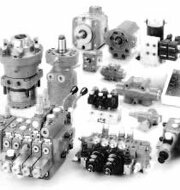 In our product range you will merely find hydraulic manufacturers representing the cutting-edge. New suppliers need to undergo a thorough examination. That is the way we keep up a maximum quality level, day by day. Gebhard Balluff GmbH & Co.
M.K. Juchheim GmbH & Co.
Phoenix Contact GmbH & Co.